Los Angeles is defined in the popular consciousness by its more recognizable landmarks: the majesty of the Hollywood Sign, the grandeur of the TCL Chinese Theatre, the charm of the Santa Monica Pier, the impressiveness of our highways’ stack interchanges. Spend an extended amount of time here, though, and those sights begin to fade into the background, allowing for some of the city’s less obvious architectural wonders to make themselves known. 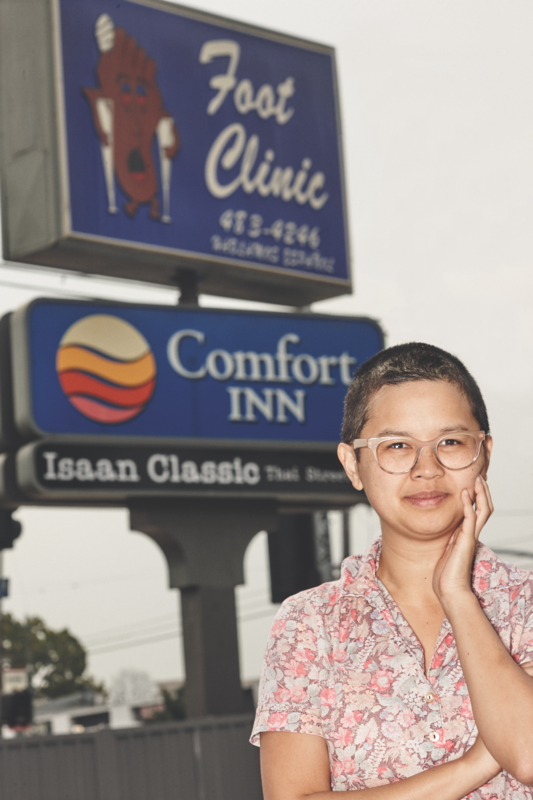 At worst, these places have been maligned or overlooked; at best, they’re beloved among smaller, more niche subsets of Angelenos (think historic preservationists, or connoisseurs of the offbeat and obscure). But it’s high time we extol the buildings, sculptures, and roadside attractions that prove there’s more to this town than meets the eye. Ready to explore? The jumbled silver boxes piled on top of an otherwise ordinary parking garage look like decor, but in reality the hollowed-out cubes house 20,000 square feet of offices—if those offices were out of Tim Burton’s dream journal. Each workspace on the upper floors is nestled among slanted beams and off-kilter walls, and the portals between rooms are askew. 3540 Hayden Ave.
Embedded in the front of a street-facing office building, the hive structure is covered with overlapping titanium-zinc paneling, like a fat, distended telescope (Moss intended that the design appear to be kinetic despite the fact that it’s not). The space is home to a conference room encircled by a spiral staircase that leads to an open-air deck up top. 8520 National Blvd. An exoskeleton of crosshatched red steel plates inset with glass panels surrounds the structural framework of the 55-foot, three-story building, which was built as a response to Moss’s open-air Cactus Tower (stop by the latter to see more than 20 cactus planters suspended in mid-air). Upstairs is chef Jordan Kahn’s avant-garde dining destination Vespertine. Kahn said he had originally envisioned the restaurant as an “artifact from an extraterrestrial planet”—at more than $350 a person, the price tag is definitely otherworldly. 3599 Hayden Ave. The tangle of steel pipes that juts from the corner of this building was initially conceived as a performance balcony for the Los Angeles Philharmonic. When the orchestra bailed, Moss opted to stick with the design, and pioneered the use of curving, laminated glass for the canopy. 3542 Hayden Ave. The breezy tower, a 72-foot assemblage of offset steel rings, marks- the entrance to the complex and sets the tone for what’s to come. Ascend via stairs or elevator (it’s the only edifice on the campus that’s accessible to the public) for views over the entire tract and nearby Expo Line. Hayden Ave. and National Blvd. Commissioned by Marilyn Lewis, cofounder of the old Hamburger Hamlet chain, Beverly Hills restaurant Kate Mantilini—opened in 1986 and named after a 1930s boxing promoter—was to be “a roadside steakhouse for the future, with a clock.” Deconstructivists Thom Mayne and his then-partner Michael Rotondi of powerhouse firm Morphosis drew inspiration from such disparate items as hot rods and chain-link fencing to design the restaurant, which was formerly a Wells Fargo bank. 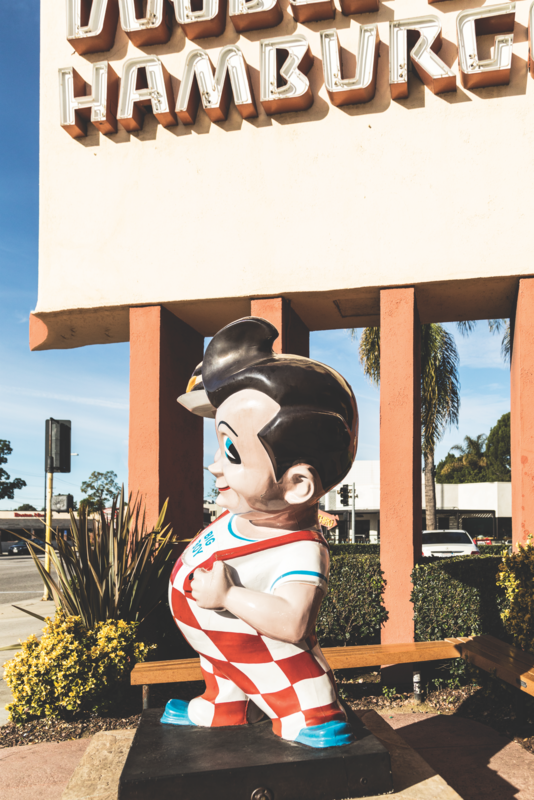 That giant clown in the polka-dot jumpsuit has been beating his neon drum for 60 years, indelibly staking a claim to his corner of the Valley (perhaps you recognize him from Clueless?). Britelite Neon crafted the Auguste behemoth for Tony Hawara, the first of three generations of Hawaras to run the business. 5600 Vineland Ave., North Hollywood. Before he created the first hotels on what would become the Las Vegas Strip, architect Wayne McAllister was designing drive-in restaurants all over Los Angeles that dispensed steaks, shakes, and pancakes via carhop. His Late Moderne masterpiece continues to radiate with neon and serves up double-decker hamburgers 24 hours a day. 4211 W. Riverside Dr., Burbank. Sixteen screaming-yellow fins pierce a slim canopy that floats over an endless line of rides being scrubbed and buffed before they cruise back onto the highway. This is among the best remaining examples of a Googie-style prototype common in the car culture era. 910 W. Magnolia Blvd., Burbank. Seventy years after it opened, the car dealership remains a pristine glass box as elegant as a vintage Coupe de Ville. The owners successfully rebuffed a corporate branding effort by General Motors and restored the slate floors, garden lanai, and towering neon sign back to their factory specs. 14401 Ventura Blvd., Sherman Oaks. Architect Wenceslao Alfonso Sarmiento always had great faith in the future, whether he was creating cutting-edge designs in Brazil with Oscar Niemeyer or waiting to be rescued after a plane crash in his native Peru. His Organic Modern concrete dome—now known as L.A. Furniture Center—looks like 1957’s idea of 2019. 8201 Van Nuys Blvd., Panorama City. The Unitarian community in North Hills was growing in the early 1960s, back when it hired Hungarian architect Frank Ehrenthal, a former student of Richard Neutra, to create a round building in which congregants could face each other. The bulbous dome later earned the nickname “The Onion.” 9550 Haskell Ave., North Hills. Contemporary apartment blocks have created a cityscape of cost-efficient blandmarks. L.A.’s dingbat apartments of the 1950s and ’60s—two-story boxcars with carports underneath—are baroque in comparison. Compton native Woodley Lewis, one of the NFL’s first black players, started a bowling alley called the Sportsman Bowl here in 1962. After a fire in the ’70s, iconic roller rink Skateland U.S.A. took its place. “It was a place where the community came together regardless of any familial or gang ties,” says Brown. “Some of the city’s more prolific music groups, like N.W.A, were birthed there as well. So it wasn’t just a roller rink—it was a pinnacle for hip-hop in that era.” Today the structure is abandoned, but you can still check out its pale blue Googie-style details from the street. “It has concrete exterior pylons, and the roof kind of has a nice float,” says Brown. “Kids say it looks like a spaceship.” 1950 S. Central Ave. The cemetery, opened in 1923, is home to an ornate 1,000-crypt mausoleum that makes it a popular (and spooky) location for film and TV shoots. 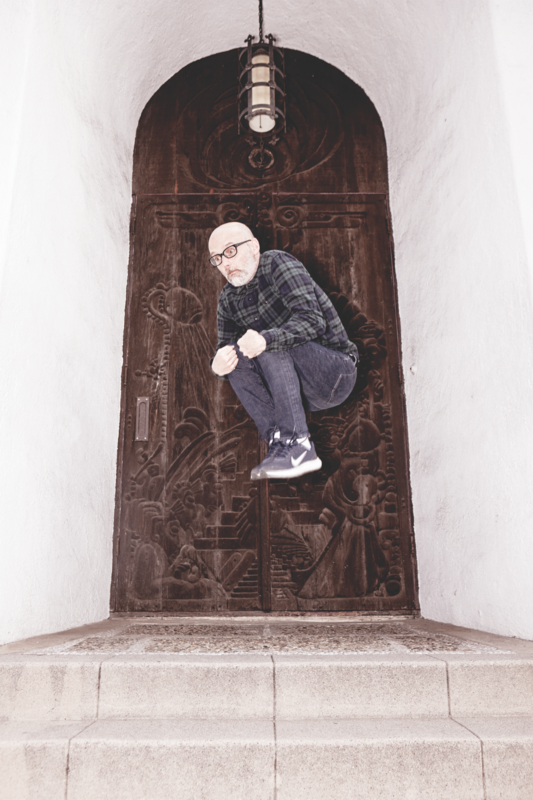 “It was built using Spanish and Moorish architectural details,” says Brown. 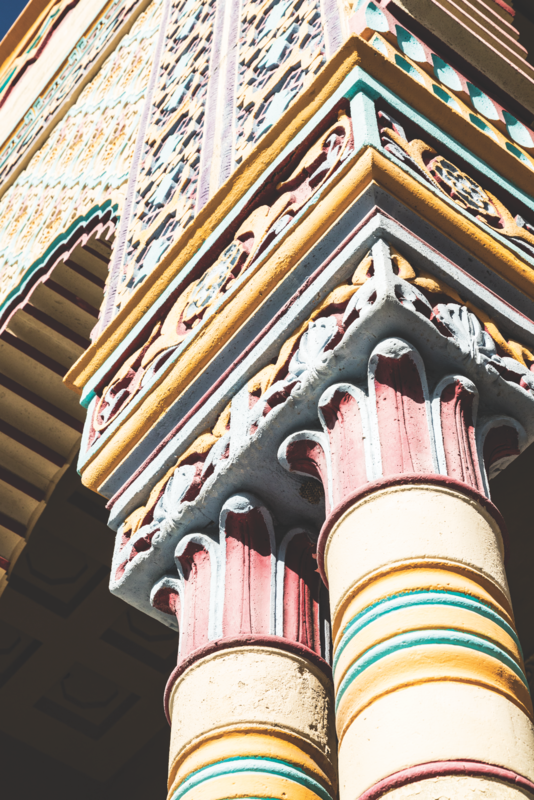 “Some portions were designed to mimic the Taj Mahal, and a big portion of the interior was built with imported Italian marble.” Over the years it has masqueraded onscreen as a palace, Middle Eastern bazaar, and even an airport. 1515 E. Compton Blvd. The transit and retail hub, which received a $12.6 million rebuild in 2012, is a stop on the Metro Blue Line that links Compton with Long Beach and DTLA. Though it’s one of the city’s newer civic buildings, the designers wanted it to feel cohesive with its surroundings. 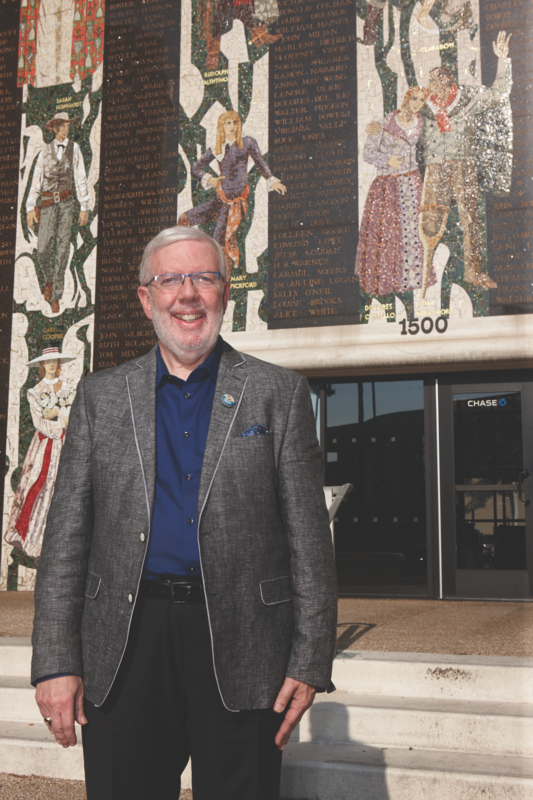 “It’s very modern, but it’s connected to Compton’s original architectural history,” says Brown. “It uses some of the same teak wood as the new community center, and the flat roof and exterior pylons are similar to City Hall’s.” Out front, towering metal letters spell out “COMPTON.” 275 N. Willowbrook Ave.
Brown spends most of her time in this Late Modern edifice, which features concrete fins, floor-to-ceiling glass, and a reflecting pool. Completed in 1977, the complex was designed by L.A. transplant Harold L. Williams. “He was a prominent African American architect and spent some time in the city,” Brown says. “He definitely had a connection with the area.” The plaza’s most-eye-catching element is the King Memorial, a sweeping monument made of angled white planes that Williams created in collaboration with Canadian artist Gerald Gladstone. 205 S. Willowbrook Ave. 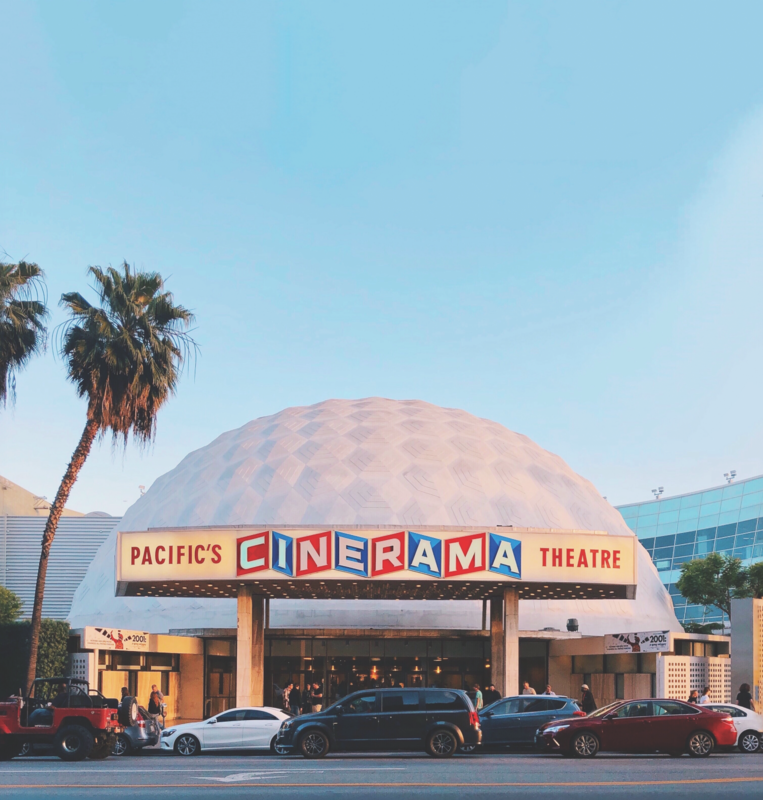 Borrowing its design from architectural wackadoo Buckminster Fuller, the world’s only concrete geodesic dome was built to exhibit panoramic movies that required three projectors and a curved 86-foot screen. The experiment never gained traction, though current owner ArcLight Cinemas occasionally trots out films in the rare, forgotten format. 6360 W. Sunset Blvd., Hollywood. 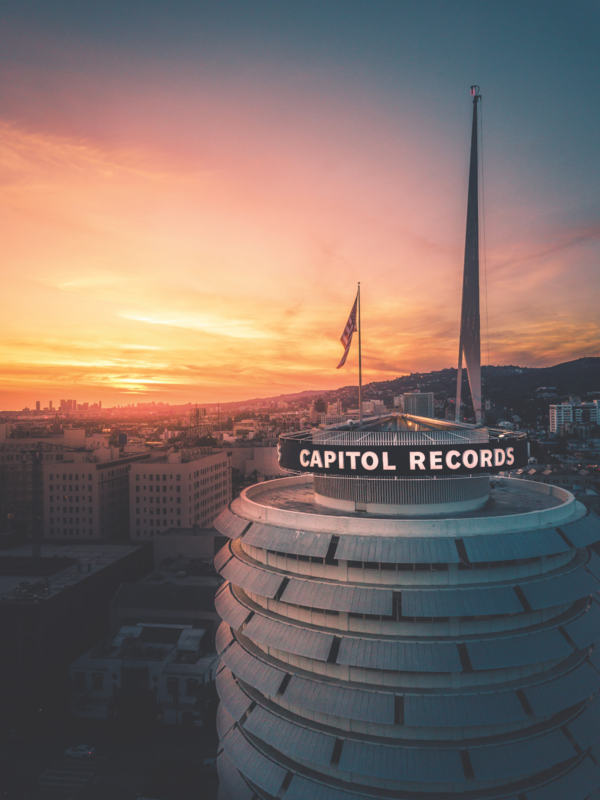 Conceived by 24-year-old Louis Naidorf under the Becket umbrella, Capitol Records was the world’s first circular office building—a design that proved both cost-effective and visually striking. Porcelain-enameled sunshades ease the workload of the air-conditioning system, itself a novelty at the time for a building of this size. 1750 Vine St., Hollywood. 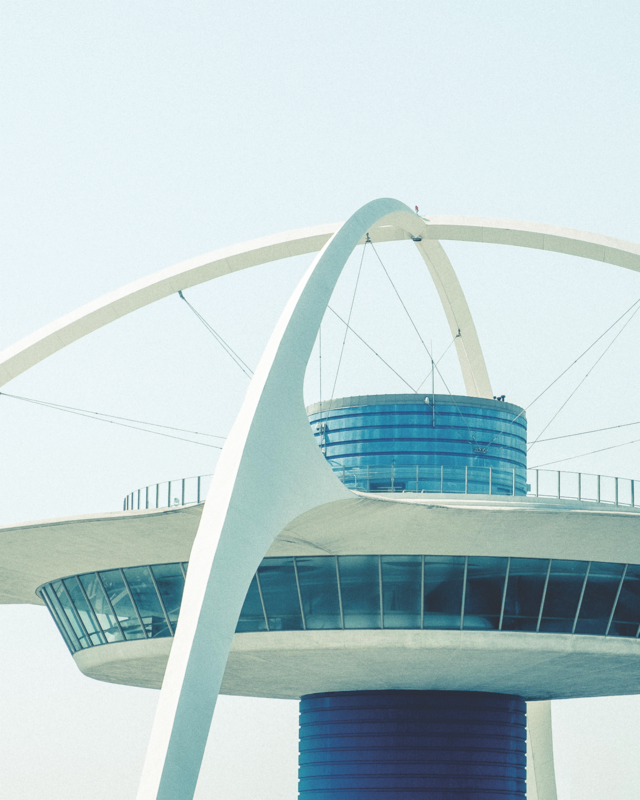 Part of a larger airport revamp done by Becket and contemporaries Paul R. Williams, Charles Luckman, and William Pereira, this Space Age structure was the centerpiece of a thoroughgoing LAX expansion during the rise of air travel. The sky-high restaurant is gone, but you can visit the viewing platform the second weekend of every month. 209 World Way, Westchester. 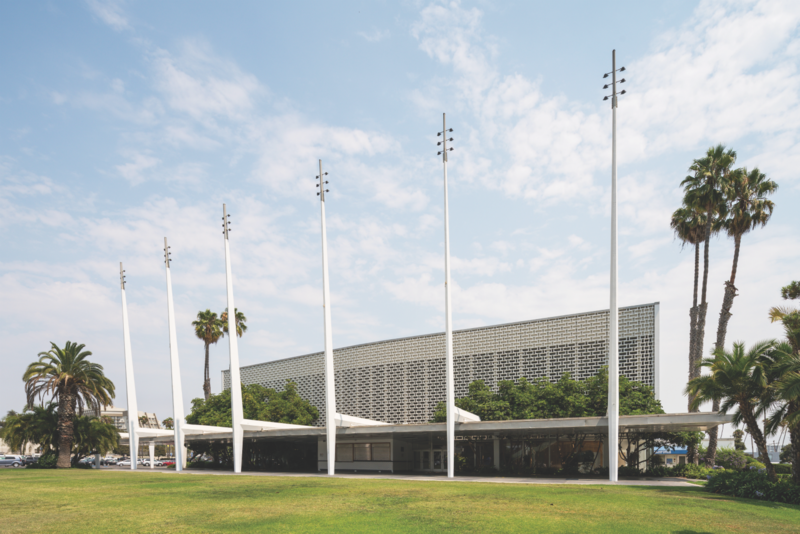 Emblematic of Jet Age styling with its soaring masts and porous concrete brise-soleil, the structure was built in an era when Santa Monica was ascendant yet lacked a unified civic center. Though mothballed since 2013, the venue did have its moment in the sun: It’s where the Academy Awards were held during the better part of the 1960s. 1855 Main St., Santa Monica. When Pelli’s 14-acre edifice opened in West Hollywood in 1975, it was one of the most lauded, controversial, and bluest buildings of the decade (maybe you called it the Blue Whale). The Green Building followed in 1988, with the Red Building completing the structural trifecta in 2012. These days the campus houses furniture markets, office spaces, and two Wolfgang Puck hot spots, including the chef’s exclusive eight-seat Test Kitchen. 8687 Melrose Ave., West Hollywood. 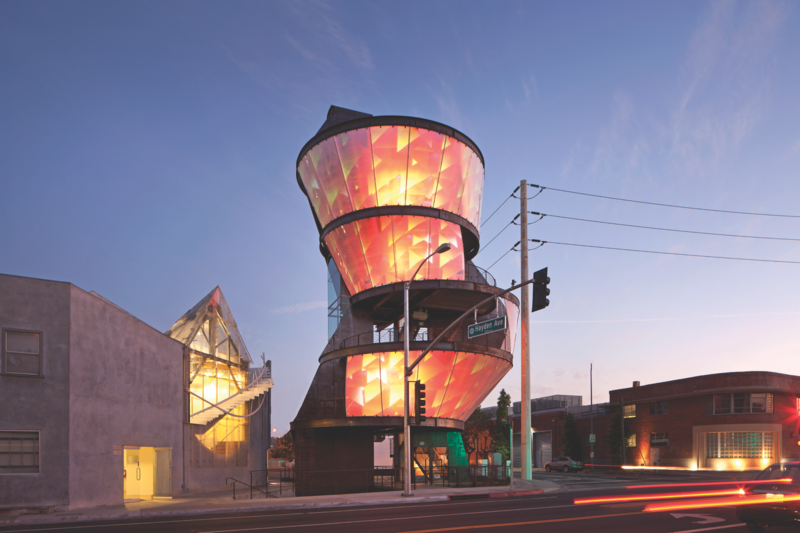 Lumsden conceived a design so advanced for the Van Nuys sewage facility that the building stood in for Star Trek’s Starfleet Academy (see it in Star Trek: The Next Generation, Star Trek: Voyager, and Star Trek: Deep Space Nine). The adjacent Japanese Garden SuihoEn is a 6.5-acre wonderland complete with a floating bridge and functional teahouse (services are held the second and fourth Sundays of the month). Schedule a docent-led tour of the grounds by calling 818-756-8166. 6100 Woodley Ave., Van Nuys. 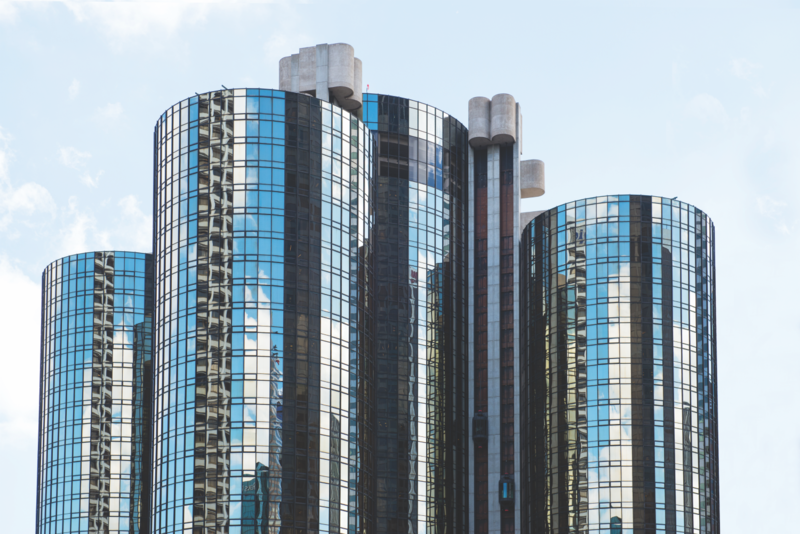 Perhaps the most famous L.A. icon of the Late Modern era is John Portman’s 1976 Westin Bonaventure, which was cast as a futuristic landmark in Logan’s Run and Buck Rogers in the 25th Century. Take a glass elevator to the revolving BonaVista Lounge on the 34th floor, where craft cocktails are served with a side of 360-degree panoramic vistas. 404 S. Figueroa St., downtown. Shuttered in 2000, the only love the Armet & Davis-designed coffee shop gets now is from location managers. 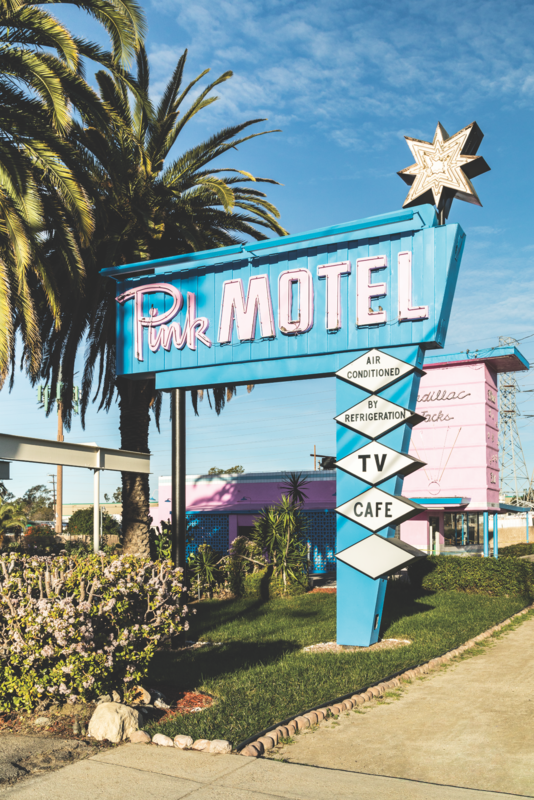 At the moment, the 1956 Googie classic is festooned with Bernie Sanders fan art (back in 2016, it was the site of a rally for the Democratic hopeful), but you probably recognize it from appearances in cult favorites such as Reservoir Dogs, The Big Lebowski, and Miracle Mile. 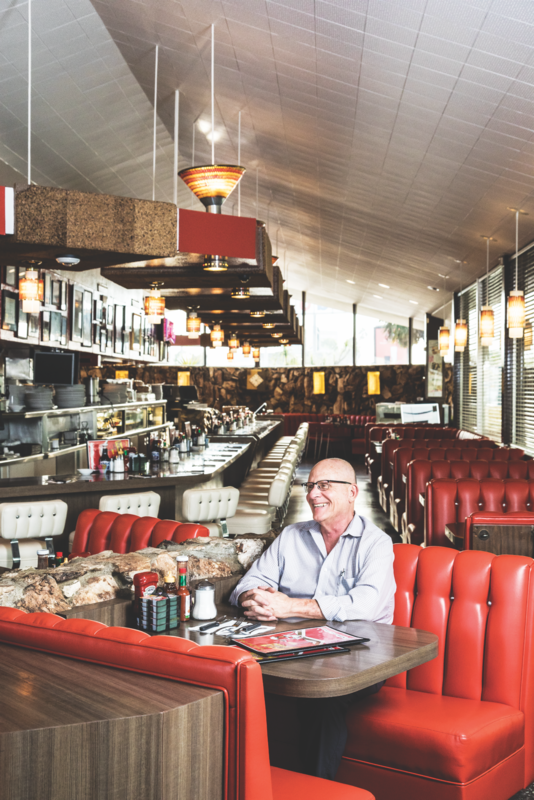 Frozen in time, the defunct diner is deserving of a revival. 6101 Wilshire Blvd., Beverly Grove. Easily one of the most beautiful athenaeums on the planet, Doheny Memorial Library is grand, gilded, and endlessly Instagrammable. 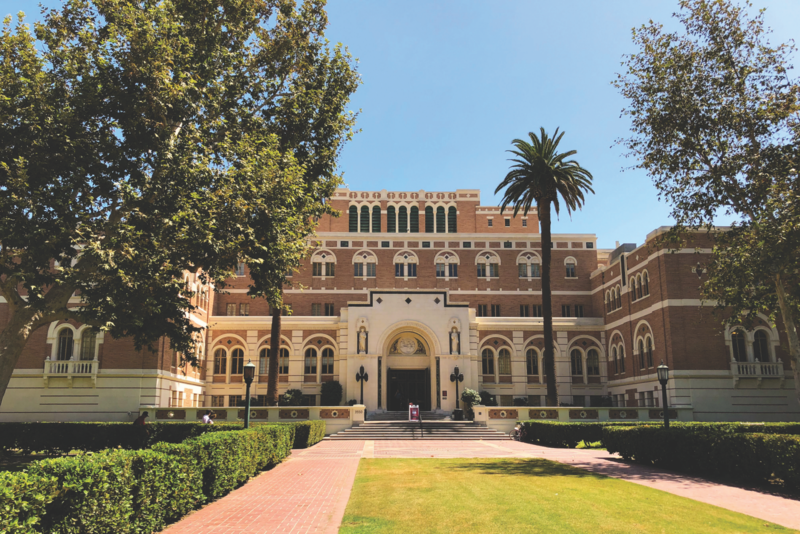 But its location—right in the middle of USC’s campus—helps it fly fairly under the radar. Even so, Hollywood has managed to leave its mark: A young Mara Wilson frequents the site in the 1996 film Matilda, and it pops up in The Graduate, Marathon Man, and City Slickers II as well. 3550 Trousdale Pkwy., University Park. A consistently underrated venue, the Prince serves up history (it was established in 1949 as the Windsor), ornate decor (hello, ruby-red wallpaper), and delectable Korean fare (the fried chicken is a staple), not to mention a slew of film cameos. The interior of the restaurant, a virtual time machine of Old Hollywood glamour, has been seen in everything from Chinatown to Mad Men to New Girl. 3198½ W. 7th St., Koreatown. There’s no need to fly east if you want to see Jerry Seinfeld’s TV pad: The building where he lived (along with Newman and Kramer) can be found right here in L.A. Little of the handsome brick structure, known as the Shelley, has been altered since it pulled double duty as both Jerry’s “domain” and the headquarters of Vandelay Industries. 757 S. New Hampshire Ave., Koreatown. You could pay $99 (or more) to see the shark from Jaws, the Psycho house, and other classic film sets on a Universal Studios back-lot tour—or you could scope some of the goods out for free, thanks to a sleepy residential street in the Hollywood Hills. Cruise up Blair Drive for a view of the studio’s expansive plane-crash set from 2005’s War of the Worlds. The only things you need in order to peep the eerie spectacle of a neighborhood decimated by a smoking 747 is a car and a camera phone. 3400 block of Blair Dr., Hollywood Hills. The Los Angeles Department of Water and Power is well-known to movie crews but not most Angelenos (unless we’re talking about utility bills). Surrounded by a moatlike reflecting pool and eight blasting fountains, the Corporate International-style building makes for a dramatic setting and, as such, has been captured numerous times on the small screen (The X-Files) and the big (Hancock and The Terminator). 111 N. Hope St., downtown. “Consistency is key to our success. I preach it every day. The public needs to be able to depend on us. The cooks are here rolling out biscuits hours before we open. The gravies are on the stove being made from scratch. We’re slicing ham; we’re breading chicken; we’re preparing our waffle batter. First my dad opened Pepy’s. Then he opened up Holly’s—that was where they filmed parts of Pulp Fiction. A year later came Pann’s, and my dad thought Pann’s was a jewel. “The Ultra of the Southwest,” that was his term. He was so proud. Mom worked the floor with a sparkle in her eye until she was 95 years old. There’s a resin storyboard near the entrance that traces their lives from Massachusetts to Greece to Nashville with little airplanes and chef’s hats and champagne glasses embedded inside. There’s a little blue foot and a pink foot. I’m the blue foot. My dad was infatuated with the luxury of Las Vegas and the elegance he saw in the plush booths and the cork ceilings. He was introduced to architects Armet & Davis and Helen Fong, who had the design abilities to satisfy his infatuation with the futuristic components of the Space Age. We have this elaborate neon sign and rock-covered roof that reaches close to the ground, with floor-to-ceiling glass so diners can enjoy the tropical landscape. It was California casual living with open spaces and sunshine. Q: Why are you so into the Triforium? 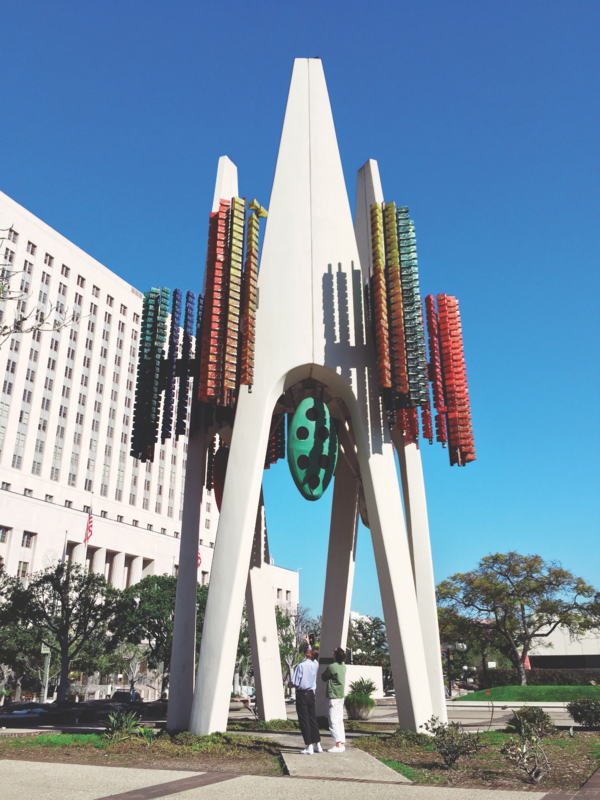 TC: The Triforium lends a sense of whimsy and ’70s futurism to Los Angeles, an aesthetic that has mostly been knocked down by this point. The other thing that has always attracted me to the piece is its sense of unrealized potential—that it was so close to being great. 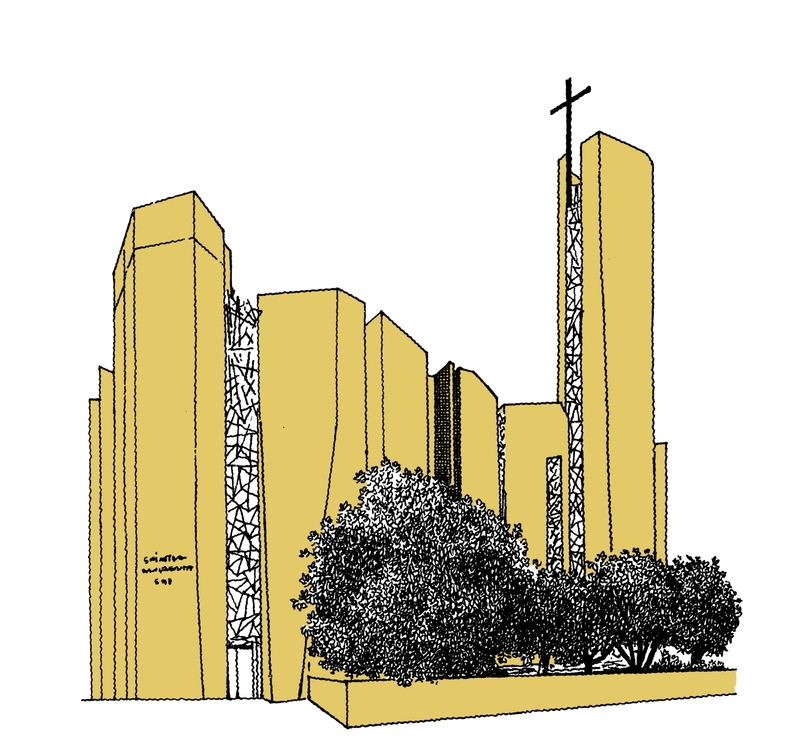 Q: How will the redevelopment of the mall affect the Triforium? CE: We don’t know for sure. The L.A. Mall is slated to be demolished and replaced with a 390-foot tower complex. There have been no specific accommodations made to protect the Triforium that we know of. Q: What has that giant chunk of grant money enabled you to do? CE: We decided to bring the Triforium back to life with a large-scale LED activation. We invited dozens of local artists and musicians to create original compositions and perform in tandem with that rescued hardware, lighting up the Triforium in real time. Q: What’s your ultimate vision for the sculpture in the coming years? TC: Short-term goal is getting it designated a Historic Cultural Monument. Long-term goal is getting it to function permanently.